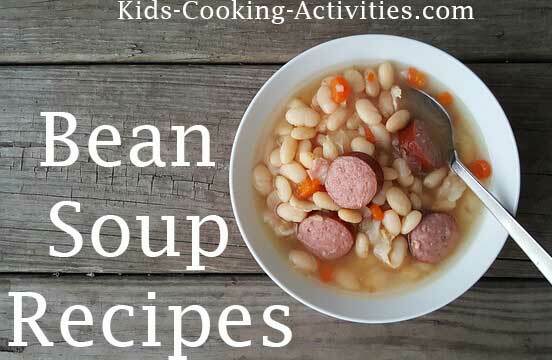 Bean Soup Recipes are great low cost meals because beans, lentils, split peas and barley are, not only healthy grains, but very inexpensive. Add dried beans in a large bowl. Cover with water and let sit overnight. 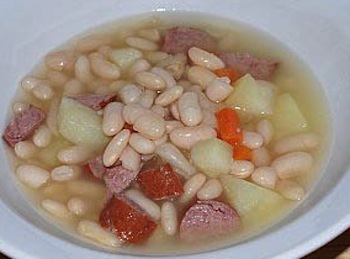 Drain beans and add to a soup pot. Add ham bone and bay leaf, cook for 1 hour on medium-low heat. Add more water to cover if needed. Drain beans and add back to pot. Add in 8 cups water, onion, chili powder, ham, garlic clove, tomatoes, lemon juice and another bay leaf in the pot. Season with salt and pepper. Simmer for 30 minutes-1 hour. You can add in chopped ham, polish sausages, cooked chicken or ground hamburger if you'd like or leave out. Cover dried beans with water and let sit overnight. In the morning drain the water and place beans in a pot. Cover with water and add a quartered onion and 2 bay leaves. 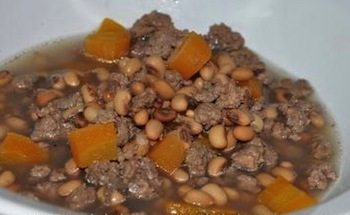 Allow to cook on medium-low for 1 hour or until beans are slightly tender. ~If using canned beans forgo the directions above and start here. At dinnertime add potatoes and carrots to the beans. Add more water if needed to cover all the vegetables. Bring to a boil and cook until potatoes are tender. Start with a good basic broth recipe using chicken broth or bouillon with water, then add whatever grains you prefer. 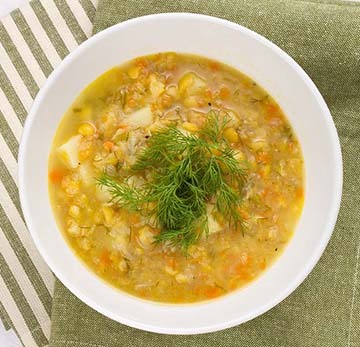 You can feed more people with these recipes by simply adding more chicken broth, vegetables and grains, if desired. Here are two recipes using this method. In soup pot, add split peas, barley, chicken broth, carrots, celery and onions. Season with salt and pepper and add 2 bay leaves. Simmer on medium-low for 30 minutes-1 hour. Taste and season with more salt and pepper or other seasonings if desired. Italian seasoning, parsley or oregano would also be a good addition to the soup. Use the same method as above. If you are using white rice add that 10-15 minutes before serving as white rice will take much less time to cook. Saute kielbasa with onion, garlic, carrots and celery for several minutes. In a soup pot, add chicken broth, tomatoes and lentils. Stir in kielbasa and vegetables. 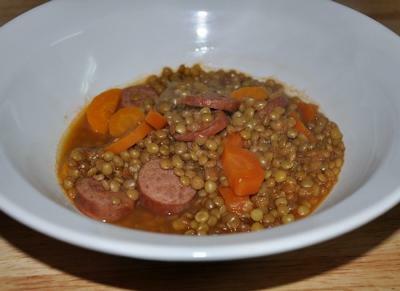 Cook on medium for 30-40 minutes until lentils are tender. Learn more about cooking with dry beans. Want to learn more about beans and how to sprout your own beans?